This historical look at the Standard Oil Company is enlightening on several levels and proves that the lessons of the past have never been more salient. The rapid rise of John D. Rockefeller’s Standard Oil Company coincided with a sharp rise in the population of the city of Cleveland, the refinery powerhouse of the late 1800s. However, as Rockefeller’s fortunes soared, Cleveland’s environmental quality fell. 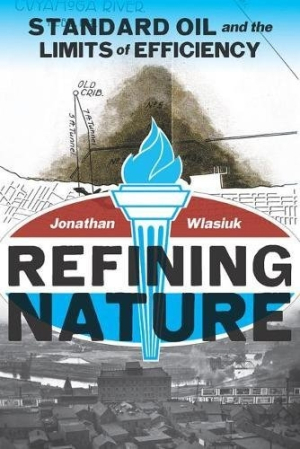 This book primarily examines the troubled relationship between Standard Oil, the city that supported it, and an ecology that would never be the same. The final chapter looks at the company’s move to the city of Whiting in the Calumet region of Indiana. The book represents a detailed, even intimate examination of Standard Oil and its impact both locally and on the world. While this is indubitably an environmentalist book, organizing the deleterious environmental effects of Standard Oil’s practices into the categories of earth, air, fire, and water, it is also a primer on corporate ills that is worth reading by any student of the modern economic climate in the United States. Standard Oil’s hostile responses to regulation and taxation, even when clearly necessary, and its manipulation of the media foreshadow many of the problems that today’s lawmakers and activists face when attempting to impose climate-change regulations and carbon taxes on large emitters and fuel producers. Well researched and straightforward, this book represents the best of historical analysis. Not only does it reveal a side to the oil industry that many Americans may be unaware of, but it does so in an unbiased, fact-oriented manner that demands to be taken seriously. At the same time, the book is relatively easy to digest—a far cry from an academic tome and definitely capable of reaching a popular audience. A highly worthwhile and useful read.